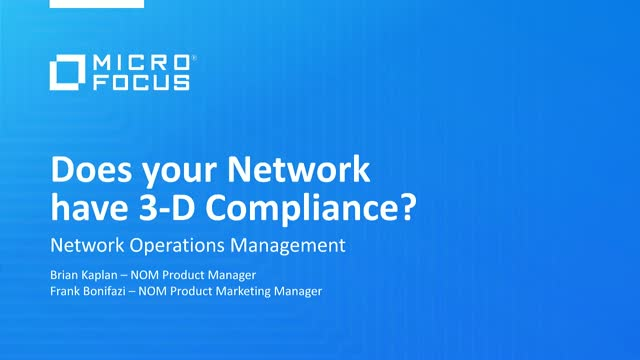 Does your Network Have 3-D Compliance? In this webinar we’ll be discussing the critical topic of network compliance, vectors of attack, and how to secure networks. We’ll introduce a new comprehensive model called 3-D Compliance to help you think about multiple aspects of being fully compliant. A recent specific Common Vulnerability and Exposures (CVE) will be analyzed and discussed as an example vulnerability. Title: Does your Network Have 3-D Compliance?